Globe Trooper > Budget Travel > How Much Does It Cost To Get a Passport? Getting a passport is a privilege every citizen of a country has. When applying for a passport, there are requirements put in place by the State Department. So, U.S. citizens can apply for a passport anytime. There is no age limitation to get a passport. A minor can have a passport, and so does an adult. However, how much does it cost to get a passport will vary on age. The passport fee you will pay for a minor passport is less than the cost of an adult. Also, the different processing times will determine the value as well. The cost of a passport at the local facilities like the post office, county clerk’s office, courthouse, and public library will have the same price for an adult and a minor. These locations offer two processing options, and the amount will differ per options. Here is a breakdown of the different costs for a minor and an adult. If you want to expedite your application, a fee of $60.00 is added to the passport cost. So, the different passport types will increase regardless if the request is for a minor or an adult. The cost of a passport at a regional passport agency is one flat fee but will vary between a minor and an adult passport. The price will be a combination of the application, execution, and agency service fee. As we know, the cost of a passport for an adult is $145.00, and a minor is $115.00; therefore, the agency service charge will increase the overall value of the passport. A private expediting company has different processing services ranging from same day and up to fourteen days. The cost of the passport again will change, but the price of the application and execution stay the same. Check with the expediting company for the different rates they have available. How much does it cost to get a passport will be determined by the applicant, the processing selection, or where you go to apply. The average processing option is the cheaper when compared to expediting or same day service. 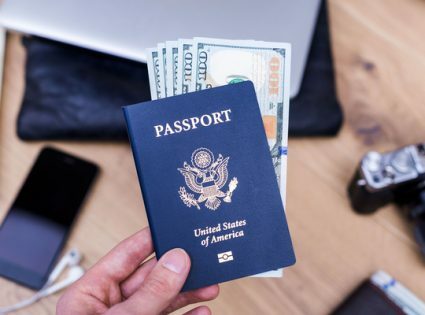 So, how much you pay for a passport can be on how soon you need it to travel or to have it for the next international trip.